Brooch Pin found in River Shannon at Killaloe, Co. Clare, Ireland. 9th Century AD. This has a fixed pin. 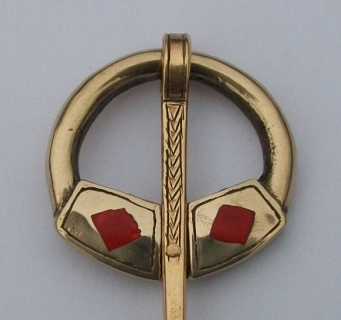 Bonze with hand-chased decoration on the pin and set with glass enamel.